Recently, PiVisuals posted about the movie Coraline, which is being distributed by Focus Features. Coraline is the first animated movie to be released by Focus Features and they already have a second one slated for later in the year: 9. 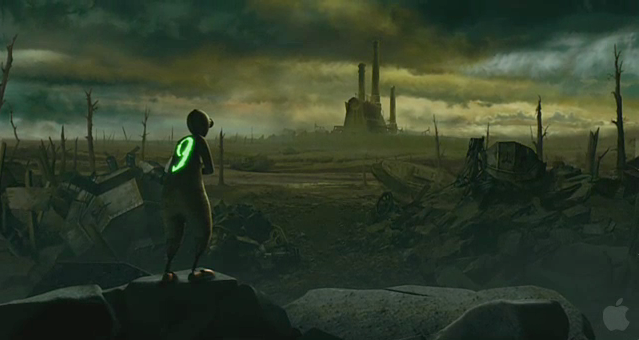 9 is a 3D CGI story produced by Tim Burton about rag dolls in a strange, post-apocalyptic setting. Even though the release is still half a year away, they already created a trailer for the movie: http://www.apple.com/trailers/focus_features/9/. It’s tough to tell if the story will be any good, but the animation looks fantastic. 9 was originally a short 10-minute film from 2005 which you can still see on YouTube: http://www.youtube.com/watch?v=DE4qHy0RruA. There is no dialog, but it is well animated and makes the movie seem very promising. I remember seeing that trailer a few months ago, but I totally forgot about it. It still looks cool – hopefully it follow through. As side note, Danny Elfman did the music for the movie (he did The Simpsons’ theme among other things). Nice, Danny Elfman creates good soundtracks. 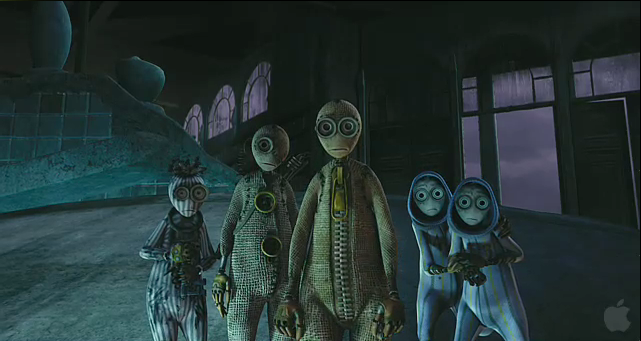 It’s not surprising that he’s attached to this project: he’s done almost every Tim Burton film. Another piece of trivia: he wrote the theme to Batman: The Animated Series.